OK I’m probably not the first to spot Facebook offering Bing Machine Translation, indeed a few of my friends said they’d noticed this a week or so again. And when I “Googled” this (other search engines are available) there were plenty of pages dedicated to predicting how useful or successful this feature will be. The “horse’s mouth” so to speak can be found at http://blogs.msdn.com/b/translation/. Many have commented that the colloquial nature of Facebook comments might prove difficult, but I assume this will eventually be overcome by a suitably large and perhaps user suggested corpus. So how did it work for me? Well not that well really – but will it be useful in the future? Yes I’m confident it will. I speak a small number of languages badly and a much larger number of languages very badly. 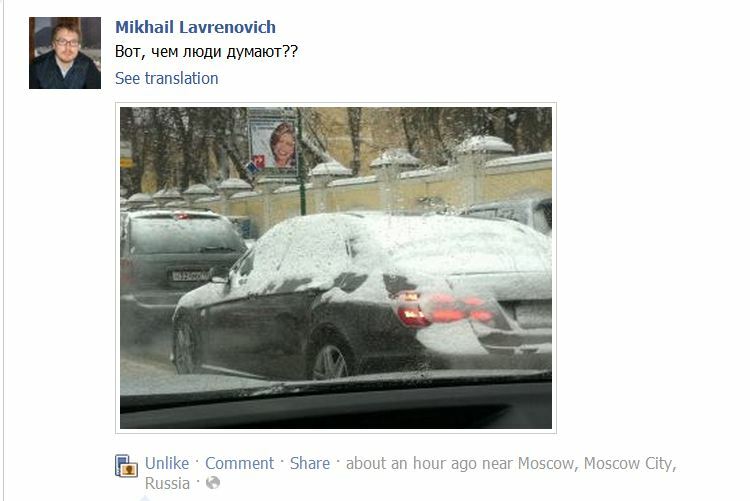 A friend of mine Mikhail Lavrenovich (co-owner of Exprimo Translations in Russia) posted a comment on Facebook, as shown below. I asked a few Russian native speaking friends, including Mikhail, how they would translate the phrase. Consensus pointed to (with my editing) “What part of the body of their anatomy are people thinking with!” – their ‘backsides’ (or ‘butts’ – can I say that?) is implied! 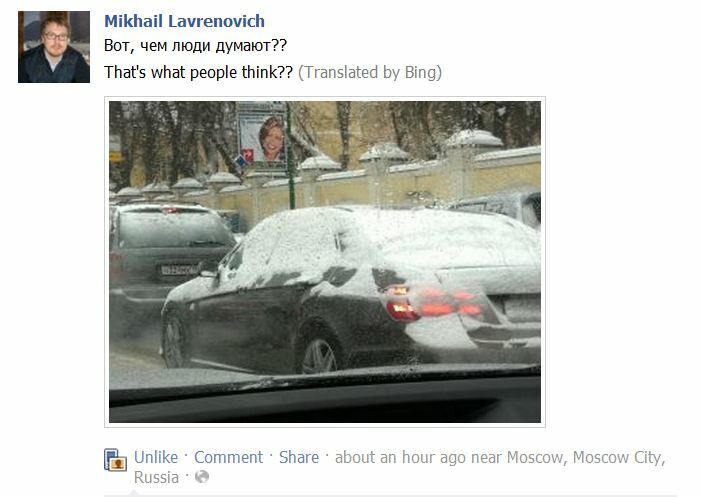 Now I’m sure there are many jokes out there involving butts, thinking, and machine translation, there may also be other involving heads, sand, and bury … as the phrase goes “You pays your money, you takes your choice (or pick)” which Bing translated as «Платит свои деньги, вы принимает ваш выбор» … over to you друзья!